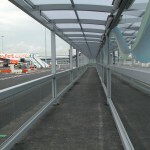 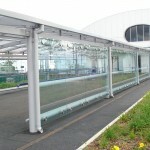 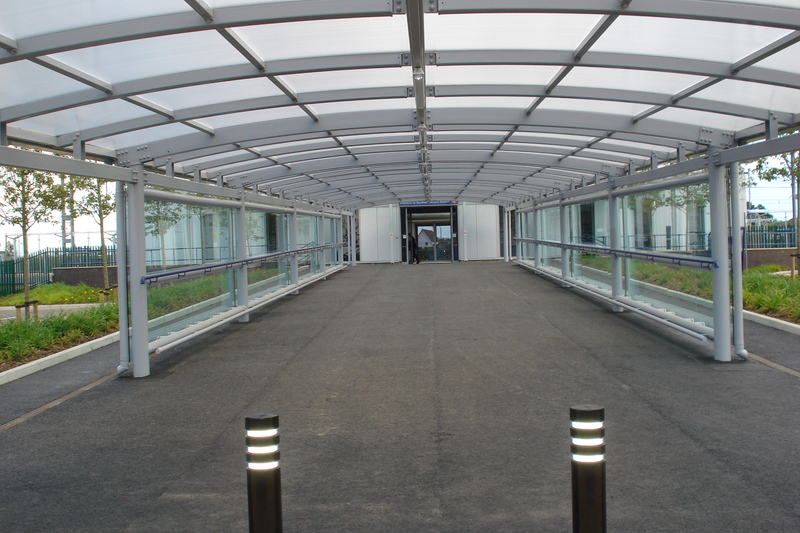 For sites where even greater weather protection is required, or where a very clear user pathway is required, then an enclosed walkway provides the ideal solution. 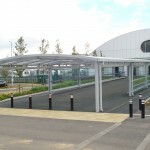 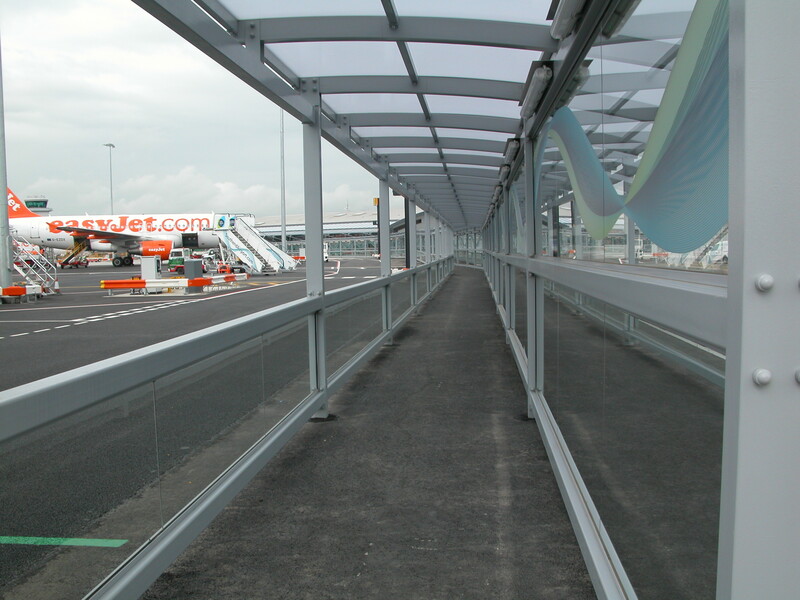 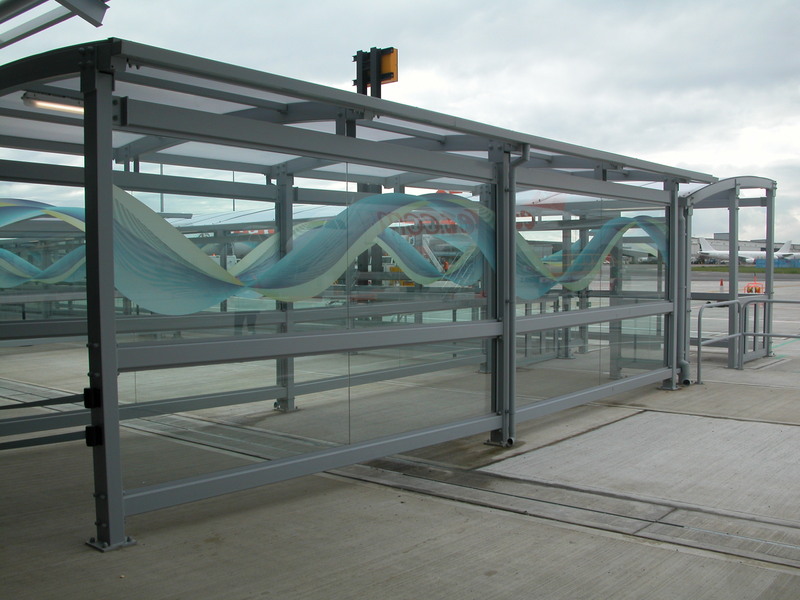 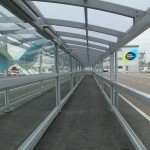 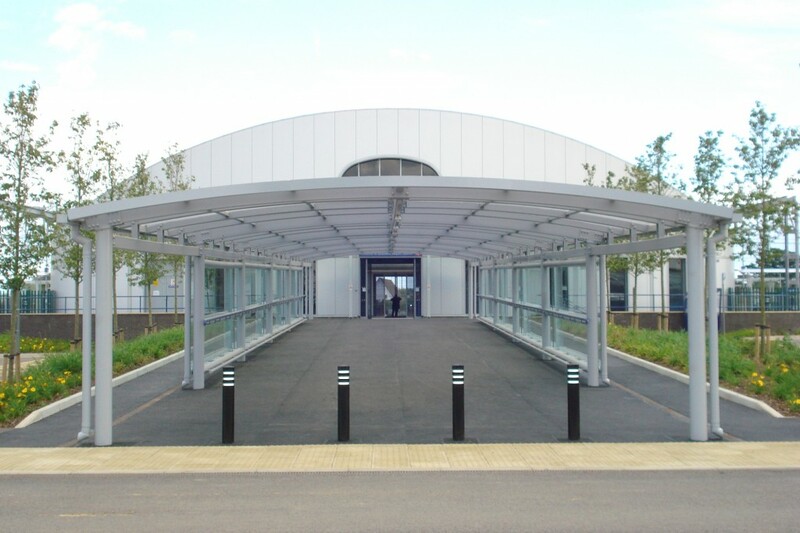 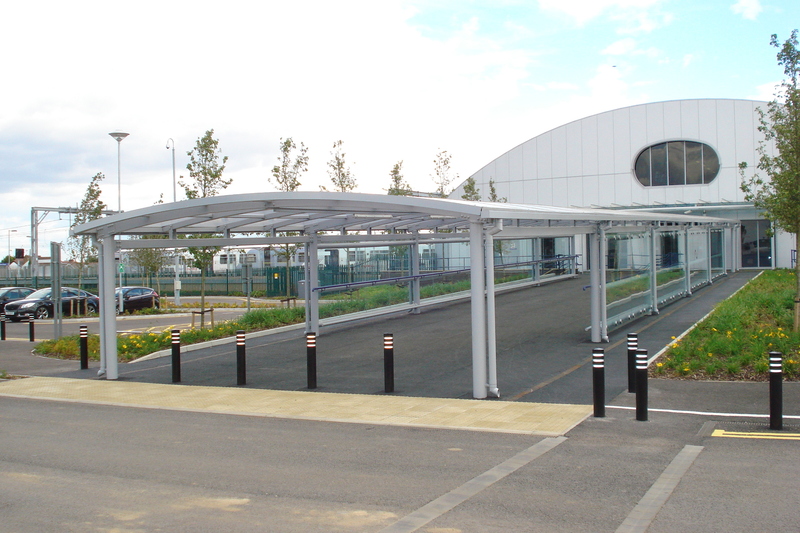 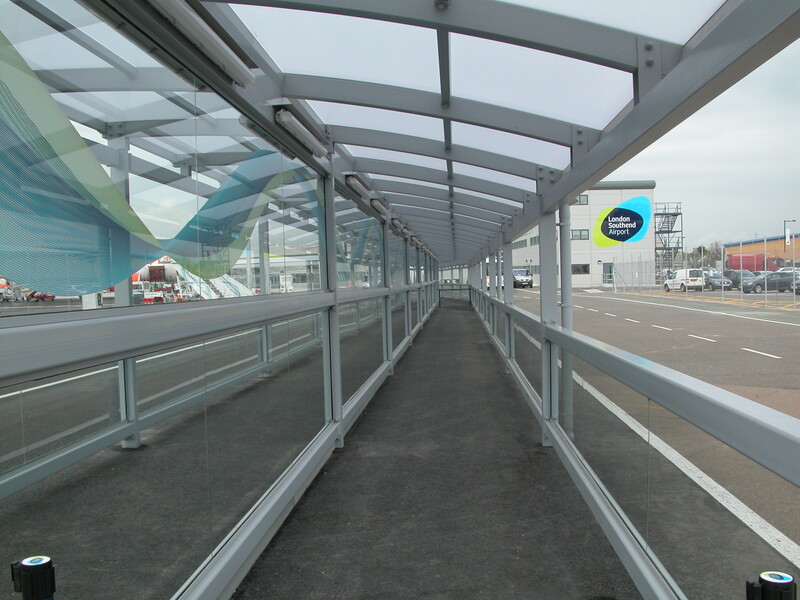 Our walkways can also be designed to be fully enclosed providing weather protection on all sides for users and also ensuring a specific flow of traffic. 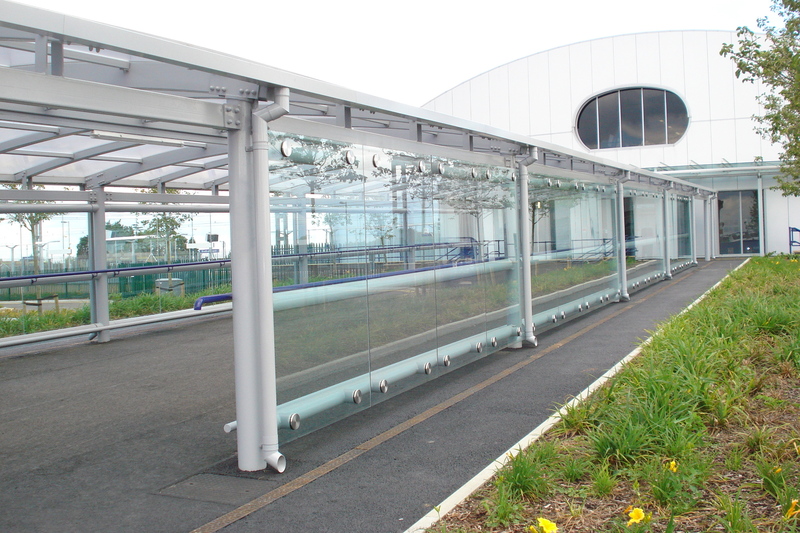 This is important for environments such as airports, stations and ferry terminals. 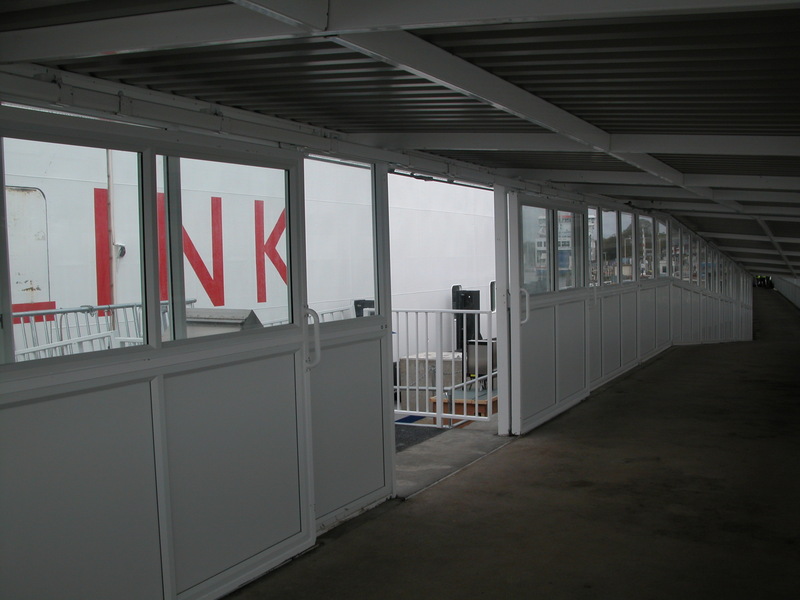 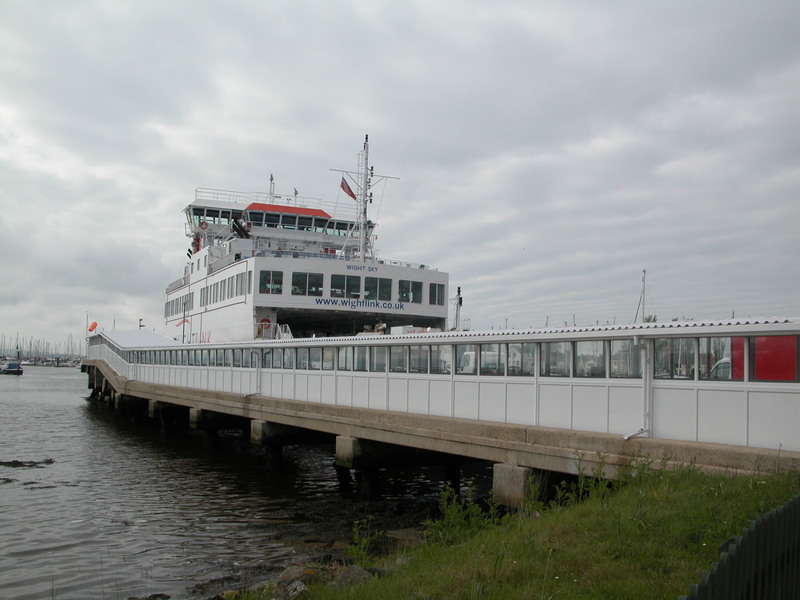 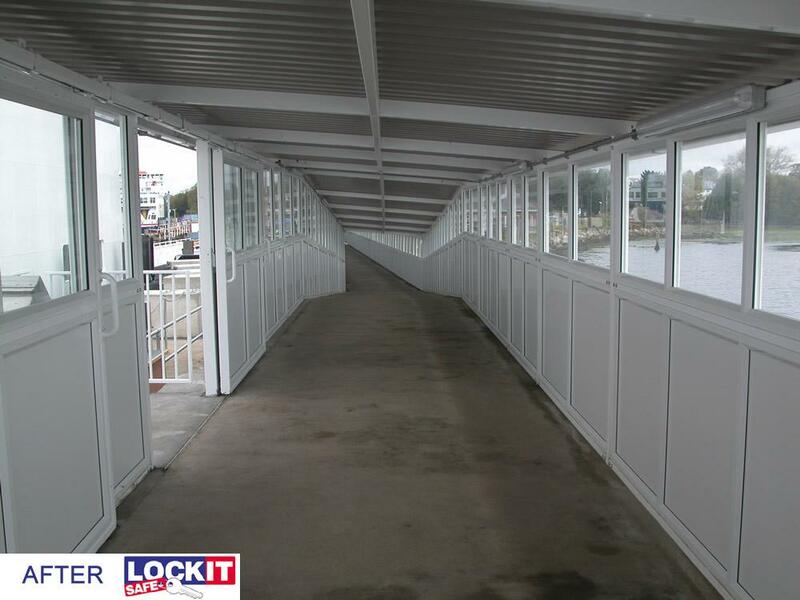 Lockit-Safe has complete a number of large high profile projects including a 80m covered walkway at Southend Airport and a 90m covered walkway at Lymington Port in The New Forest linking the passenger embarkation and disembarkation to the main ferry terminal building. 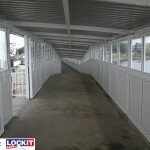 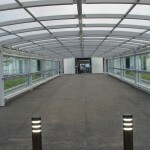 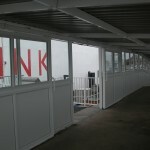 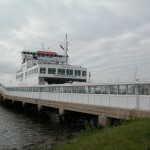 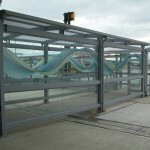 All our enclosed walkways are custom designed, fabricated and installed by Lockit-Safe.